Castles and palaces were once remote places. But today the Queen’s homes are tourist attractions. We had a brilliant time today touring Windsor Castle. The Royal Standard was flying from the Round Tower, showing that the Queen was at home, although she didn’t say hello. 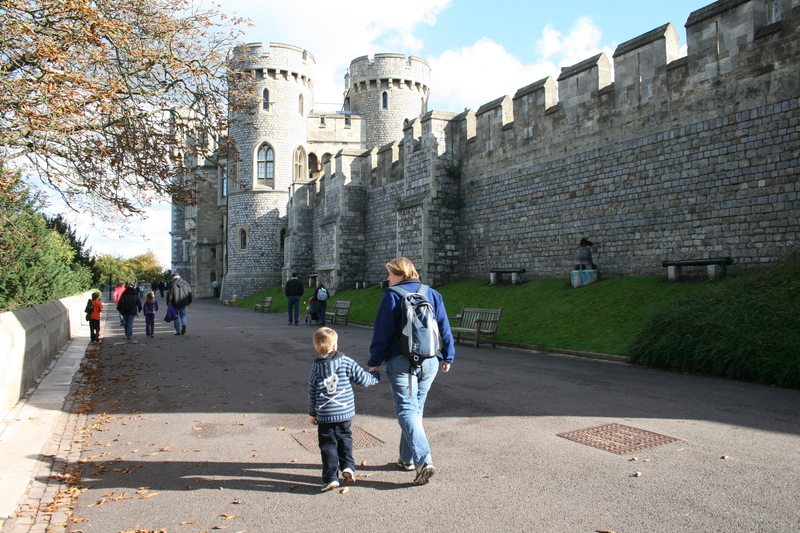 Windsor remains one of our most lovely towns. Aside from Europe’s largest inhabited castle, it’s graced by the Thames, wonderful parks and splendid architecture. I’ve enjoyed cycling here from Teddington, Richmond and Chalfont St Giles: it’s a wonderful destination. And the old Great Western railway station is now a fine mix of restaurants, coffee houses and shops – not to mention a replica of a Great Western express engine of 1894 – when my grandmother was three. I like coming here. I leave with happy memories and a broad smile. 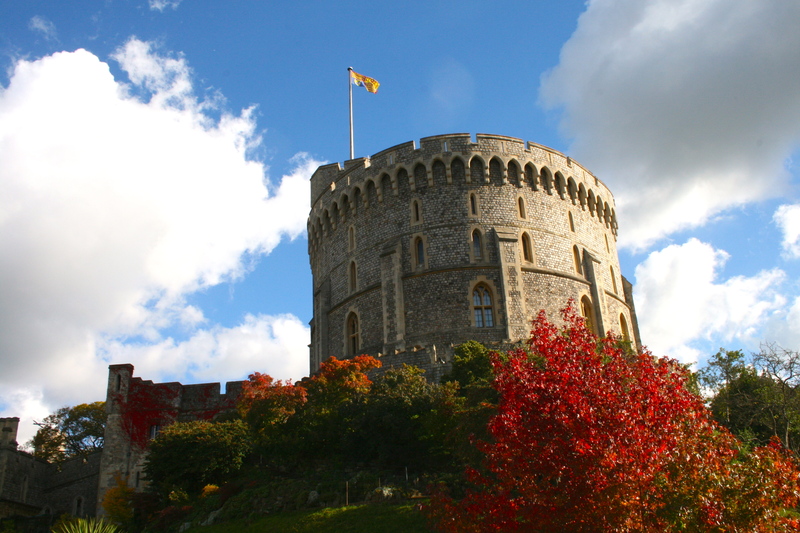 This entry was posted in Britain, History and tagged Queen Elizabeth II, Windsor Castle by Rob Skinner. Bookmark the permalink. I agree – I, too love Windsor Castle. I had the privilege to stay there in St George’s House within the castle many years ago as a reperesentative of the Women’s National Commission for a conference on the Future of the Family. After visiting hours, all the public went home. The whole place (which is big!) seemed to take a big breath, and slowed down. We were free to wander around most of the grounds, and it was a beautiful evening. I attended Sung Evensong in St george’s Chapel, and was moved by the atmosphere, the sense of history, the lighting (lots of candles) and the sheer beauty of the words and music. The rooms we stayed in were at the top of the house, up small staircase. They were small and in need of decoration – but the view!! Bits of Castle, bits of sky and trees. I loved it – and the conference wasn’t bad, either! 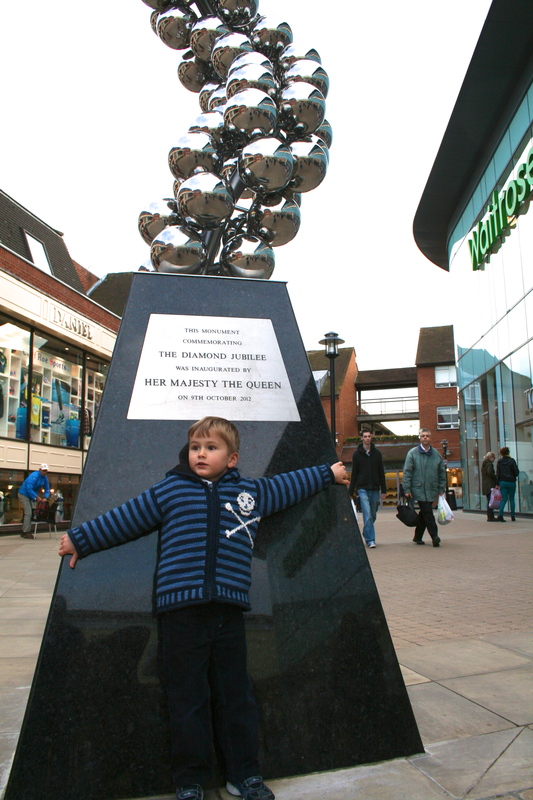 its a living history, and ongoing history of the great place Britain ,,,God Bless the Queen!!!!! !